Follow these instructions to install ProcessMaker 2.8.0 or later on top of a LAMP (Linux, Apache, MySQL, PHP) stack in Debian. ProcessMaker 2.8.0 - 3.0.1.6 can be installed in Debian 6 (Squeeze) or 7 (Wheezy). ProcessMaker 3.0.1.7 or later can be installed in Debian 7 (Wheezy). If wishing to install ProcessMaker 3.0.1.7 or later in Debian 6, then PHP will need to be upgraded to version 5.4 or 5.5. ProcessMaker has not been tested with PHP 7 which is found in Debian Testing and Unstable, so it may be necessary to downgrade to PHP 5.6 if using those versions of Debian. Before installing it is recommended to check the Installation Requirements. After installation, see Additional Server Configuration. Note: There are no known problems running ProcessMaker on Debian Linux, but the ProcessMaker Quality Control team does not test on Debian servers so use at your own risk. Follow the steps listed below to install ProcessMaker in Debian. If the LAMP stack isn't already installed, open a shell by going to "Applications>Accessories >Terminal". At the command line, switch to the "root" user. Enter a password and select the option OK. Then enter the same password a second time, to confirm it. 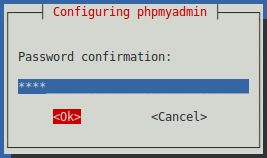 The default configuration of PHP should be able to run ProcessMaker, however, check the following settings if PHP's configuration file php.ini has been modified. Note: After installation, the same value for the memory_limit should be set in the ProcessMaker interface by going to Admin > Settings > System (or in the env.ini file). It is also recommended to set the date.timezone to a your time zone, especially if using timer events in the Enterprise Edition. See this list of supported time zones. Note: After installation, the same time zone should be set in the ProcessMaker interface by going to Admin > Settings > System and setting the Time Zone (or in the env.ini file). Go to http://sourceforge.net/projects/processmaker/files/ProcessMaker/ and download a recent tarball of ProcessMaker, which should be named processmaker-X.X.X.X-community.tar.gz. After the download has finished, decompress the tarball in the directory where ProcessMaker will be installed. ProcessMaker can be installed in any directory which is not publicly accessible to the internet (so do NOT install it in /var/www), but it is generally installed in /opt, since it is an optional program which doesn't come from the standard repositories. The MySQL "root" user should already have all the necessary privileges to setup the ProcessMaker databases. If planning on using a MySQL user other than "root" to set up the ProcessMaker databases, then follow the steps below to grant a MySQL user superuser privileges to create and update databases. Replace USER with the name of your MySQL user and PASSWORD with the password for that user. (If that user doesn't already exist, he/she will be automatically created with the above grant command.) If you are running ProcessMaker on a different server than your MySQL server, then replace localhost with the domain name or IP address of the server where ProcessMaker is located. To configure ProcessMaker in Debian 6 - 7, see VirtualHost in Apache 2.2. If using Debian 8 (Jessie) or later, see VirtualHost in Apache 2.4. Note that www.example.com and *.example.com need to be defined in the server's DNS or /etc/hosts file for this example to work correctly. Replace your_ip_address with the IP number or domain name of the server running ProcessMaker. If only planning on running and accessing ProcessMaker on your local machine, then use the IP address "127.0.0.1". If using ProcessMaker on a machine whose IP address might change (such as a machine whose IP address is assigned with DHCP), then use *, which represents any IP address. If not using the standard port 80, then it is necessary to also specify the port number. If using ProcessMaker which is installed locally on port 8080, go to: http://127.0.0.1:8080. Then follow the steps in the Installation Wizard in the web browser to complete the installation of ProcessMaker. The default time zone for the ProcessMaker server can be set by logging into ProcessMaker with the "admin" user and going to Admin > Settings > System and setting the Time Zone. Another way to set the time zone is edit the env.ini configuration file. If planning on using email notifications or timer events, then the server running ProcessMaker has to be configured to periodically execute the cron.php file. See Executing Cron Scripts. The ProcessMaker Quality Control team has tested ProcessMaker 3.0.1.X with PHP 5.4 and PHP 5.5. However, if installing ProcessMaker 2.8.0 or 3.0.0.X, these versions have only been tested with PHP 5.3. There are no known problems running ProcessMaker 2.8.0 or 3.0.0.X with PHP 5.4 or 5.5. However, if not wishing to run ProcessMaker on an untested version of PHP, it recommended to downgrade PHP to version 5.3.3, which is found in Debian 6 (Squeeze). Note: Remember that these instructions are only for ProcessMaker 2.8.0 or 3.0.0.X and should be ignored if installing ProcessMaker 3.0.1.X. Also remember that ProcessMaker 3.0.1.7 and later must use PHP 5.4 or later. If using Testing or Unstable, then change stable to testing or unstable.